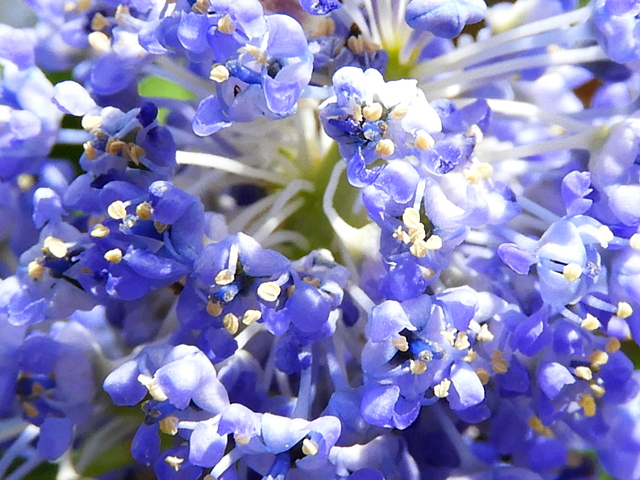 jardin-perdu / Summer dreams; it’s time to plant summer flowering bulbs. 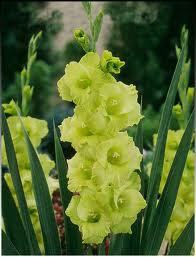 Summer dreams; it’s time to plant summer flowering bulbs. 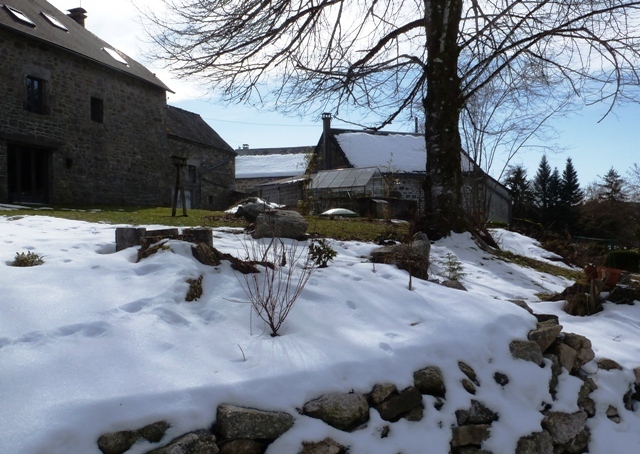 It’s the first of March, spring officially starts just 19 more days from now, and still in France the snow persists. This morning however, as I walked around the garden with Tipsy, one of our cats, I felt optimistic for the first time that perhaps, at last, winter was on its way out. 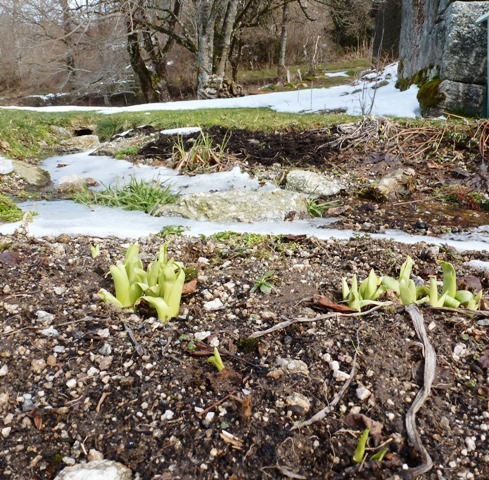 Although parts of the garden are still covered by a layer of snow, it is melting, the day is warmer, grass is appearing, and hopefully this time the green will stay. Through the melted patches of snow, having survived for 8 weeks under an almost constant blanket of white, tulips, snowdrops and Hemerocallis are fighting through and sending up their first shoots. Yes I believe it is time to be optimistic and hope that before long we’ll soon all be up to our elbows in dirt, digging up, dividing and moving our plants. Crocosmia Lucifer – a big, bold, bright red variety which grows to 1m tall. 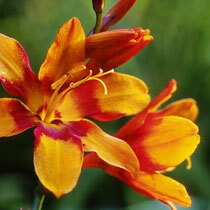 Crocosmia ‘Emily Mckenzie’ a smaller, more delicate variety which has orange petals stained crimson at the centre. Dahlia Cactus ‘Chat Noir’ a double dahlia, rich garnet red in colour with an almost black centre. 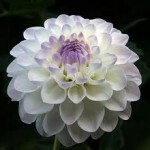 Dahlia Cactus ‘Clair de lune’ a creamy yellow dahlia. Dahlia Balle ‘Evelyne’ a lovely creamy white dahlia which is tinged with mauve. Lilium ‘Landini.’ French name: Lis asiatique ‘Landini.’ Asiatic lilies are dependable perennials. 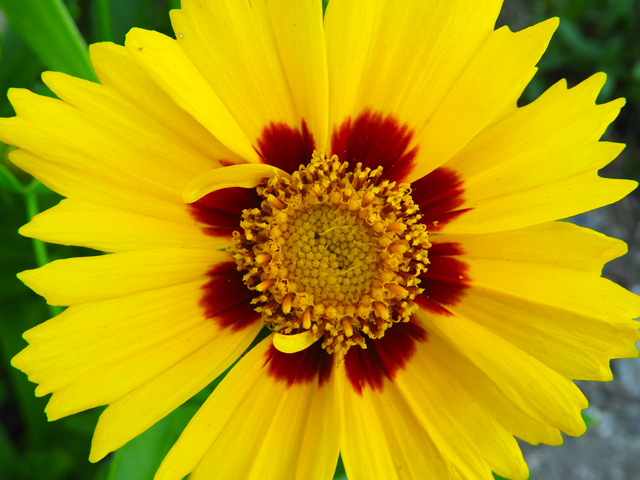 This one is a gorgeous dark, rich, crimson red. 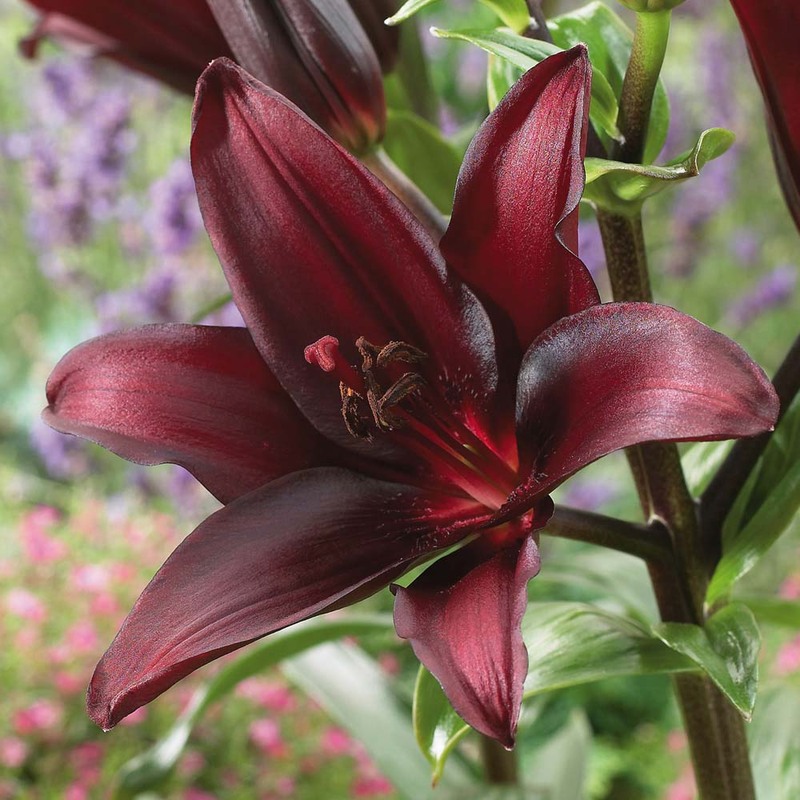 Lily regale ‘Album.’ French name: Lis trompette ‘Régale’. 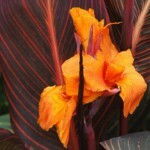 This lily has large, pure white flowers and bright orange anthers and is highly scented. Gladioli ‘Purple Flora.’ French name: Glaïeuls à grandes fleurs ‘Purple flora.’ This is a glorious velvet purple gladioli. 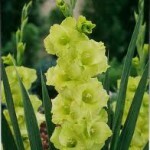 Gladioli ‘Green Star.’ French name: Glaïeuls ‘Green Star.’ This is an acid green gladioli which doesn’t fade to yellow. Canna Liberty. 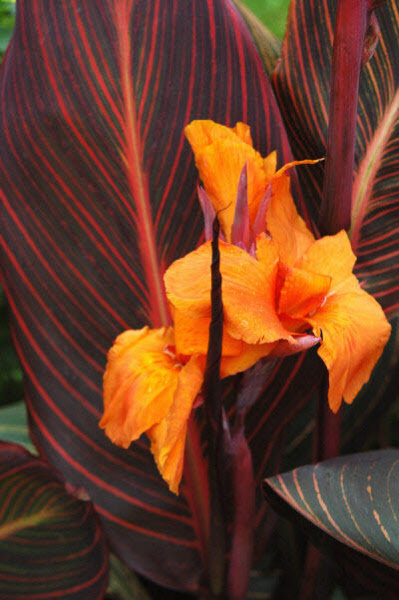 French name: Canna à feuillage pourpre ‘Liberté.’ The glorious orange flowers of this Canna look stunning against the purple foliage. Get dreaming of the long, hot French summers and planning your equally hot, dramatic borders. All these bulbs can be bought here in France from Plantes et Jardins, click on the link either in the footer or side bar to take you to their website. 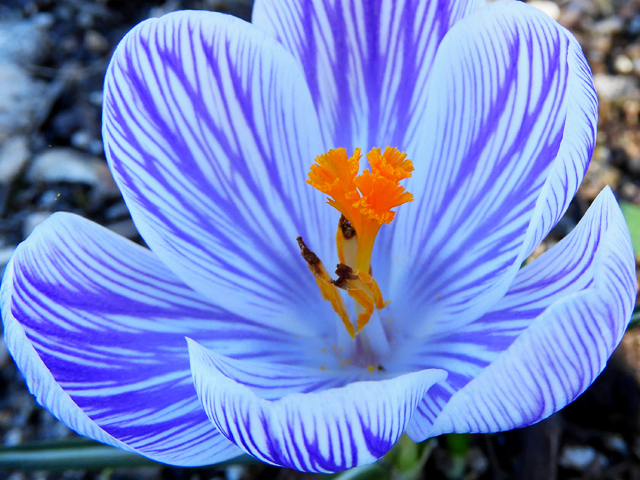 If you have a favourite summer flowering bulb or a specific type of Dahlia or Gladioli which you think is a real winner, I’d love to hear about it, so please leave your comments in the box below.